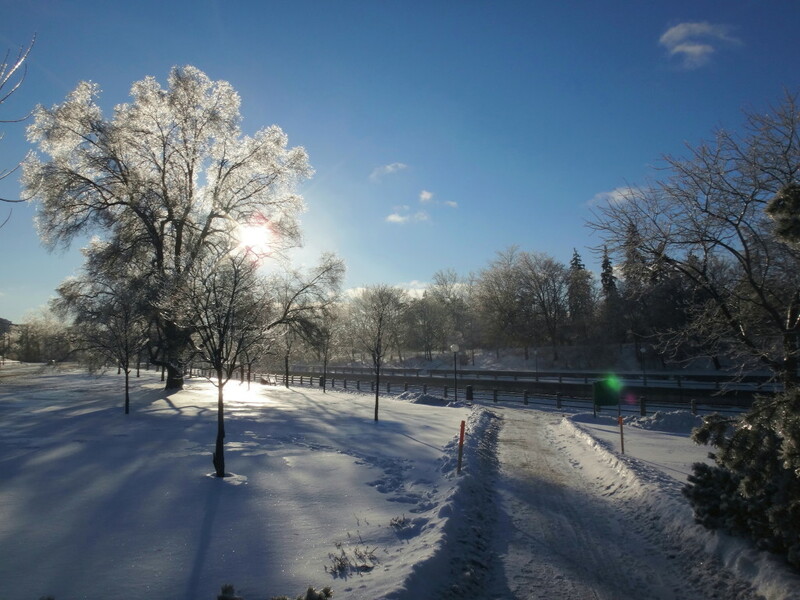 The Village of Pakenham, just outside Ottawa, lies on the gentle Mississippi River. Most visitors come to photograph the famous five-arch, stone bridge, or to eat ice cream at the Pakenham General Store, the oldest general store in Canada (open in the same location for 170 years). 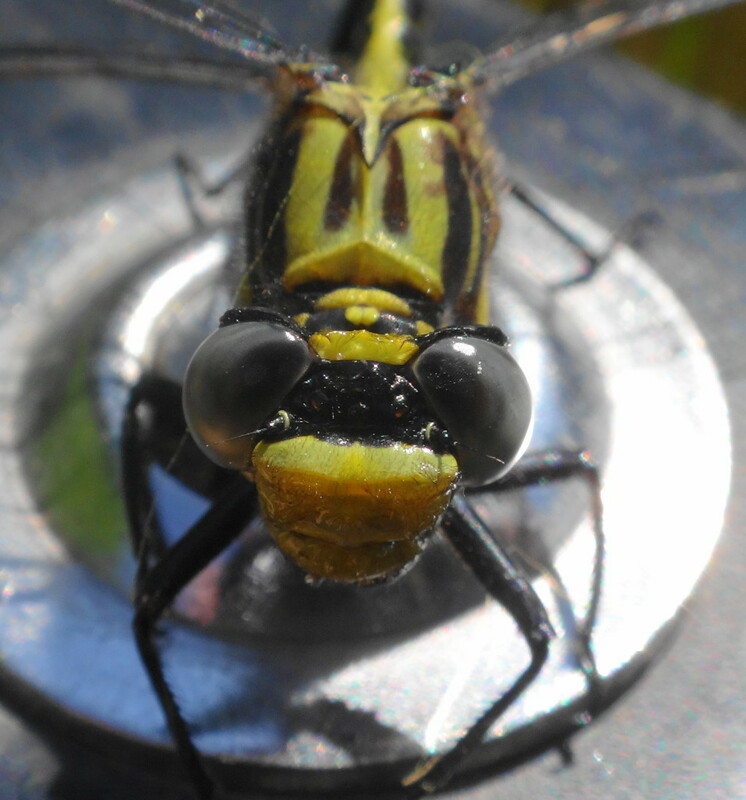 A few dragonfly enthusiasts know it as one of the very few places to find the endangered Rapids Clubtail, a small colourful dragonfly that breeds in the shallow pools and rapids below the bridge. I think of it as the perfect place to begin an excursion on the Mississippi River downstream to Cody Creek. 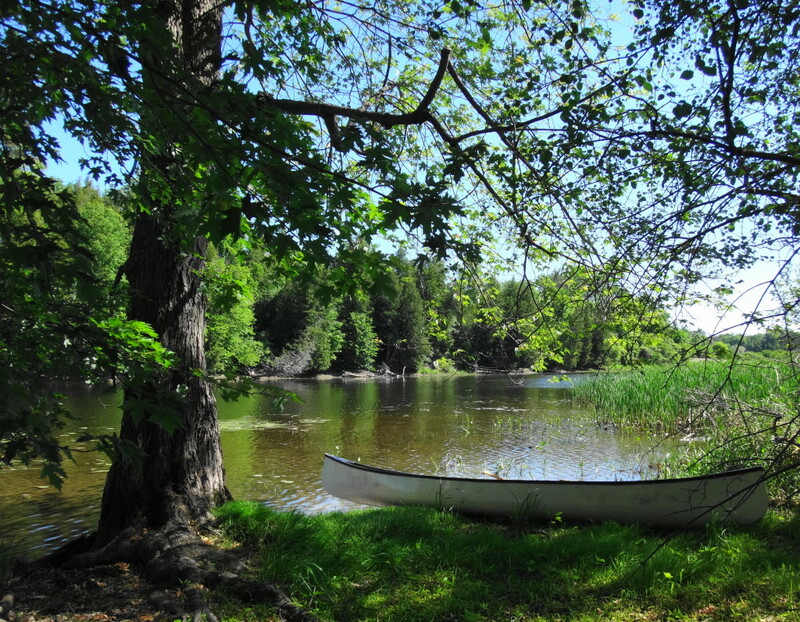 The quiet backwater beside the Conservation Area at the bridge provides a good location to launch a canoe. The river meanders gently through a rural landscape of wooded banks and farmland, a fringe of marsh along the sh0reline. 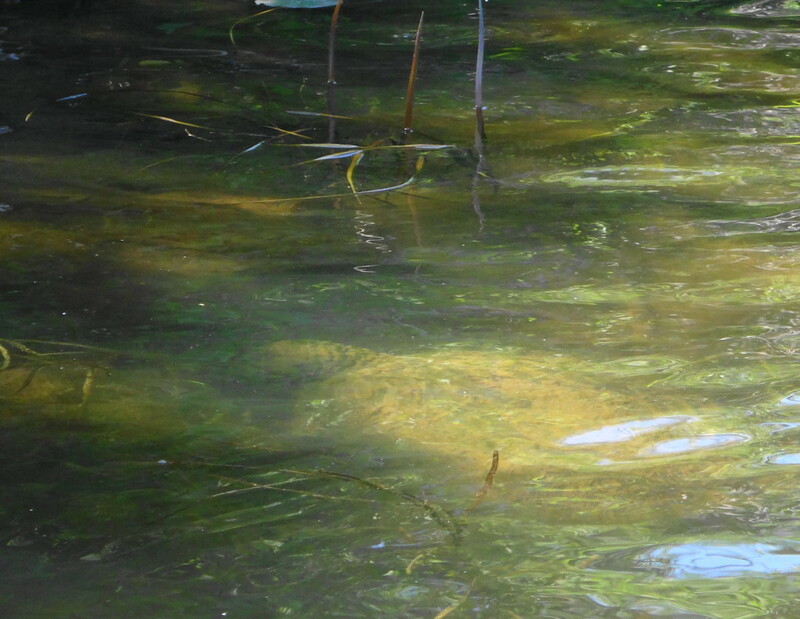 In places, old oxbows flank the main channel, hidden behind a screeen of willows. 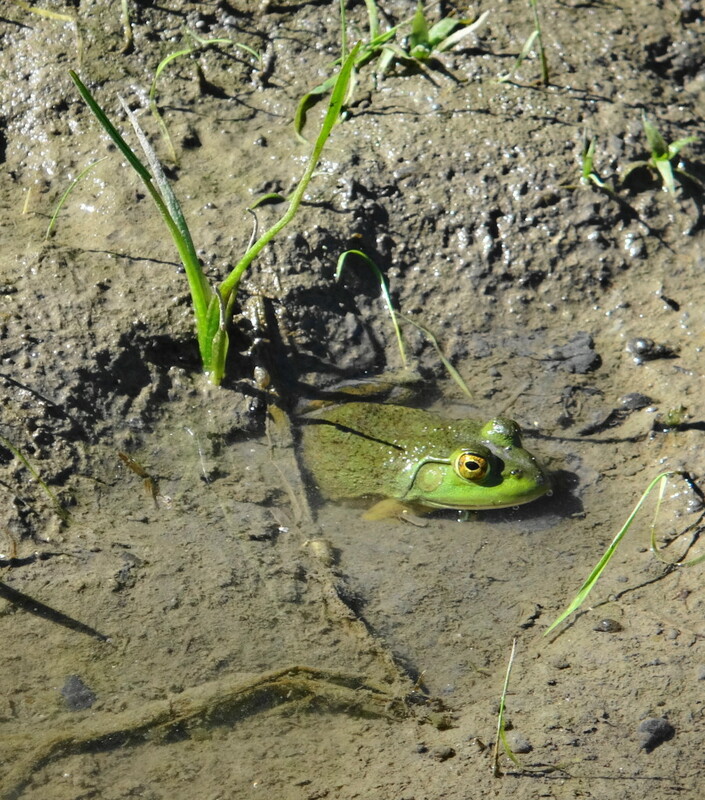 Wildlife abounds along the banks, in the wetlands and the shallows. 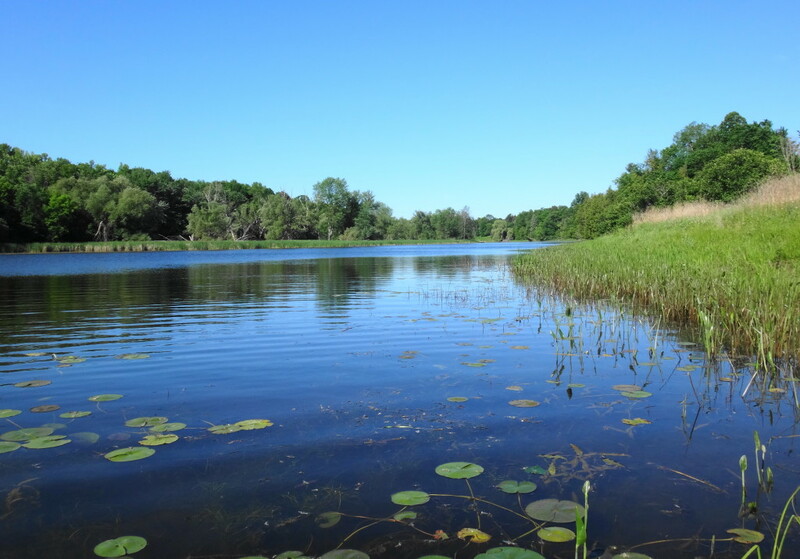 Smallmouth bass, pike and walleye hunt the weedlines, the dropoffs and deeper pools. Not far downriver from Pakenham, perhaps a twenty minute paddle, Cody Creek joins the river from the east. As one approaches the creek from upstream, the eastern shore becomes more hilly and heavily wooded. Small, pretty wetlands lie behind the shoreline, draining to the river through small, muddy channels. A wooded sandbar provides a place to pull out and stretch one’s legs. 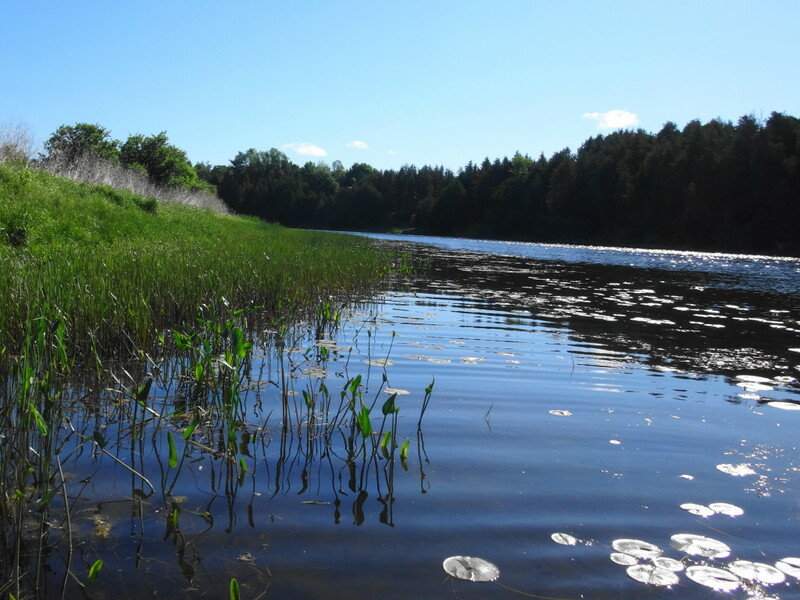 Thick sedges and marsh grasses cover the banks, while beaver and muskrat tracks crisscross any patch of open ground. 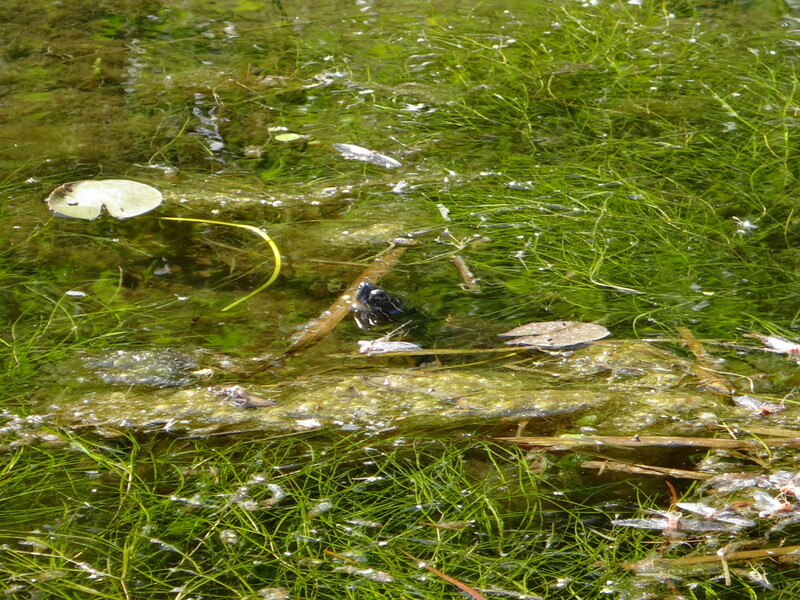 Frogs scatter into the water at every step. A narrow, greasy flood channel connects to a small beaver pond, overlooked by a large snag and stick nest. A red-tailed hawk sounds a “keerrr” of protest. 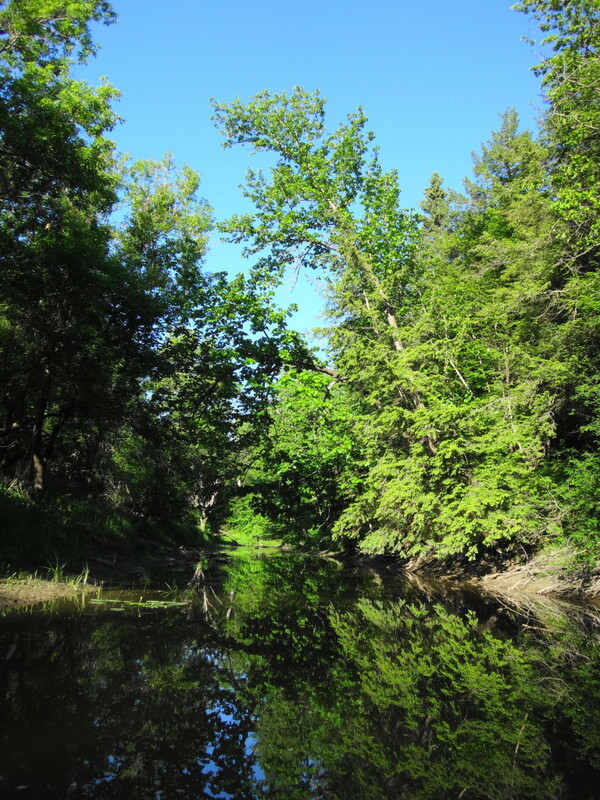 The shade of a silver maple provides an idyllic location to sit, eat a snack, and watch a heron stalking in the shallows downstream. The marsh at the mouth of Cody Creek deserves appreciation for its diversity, beauty and productivity. An artificial frog or a wooly bugger tossed along the weedline is likely to provoke an aggressive strike. 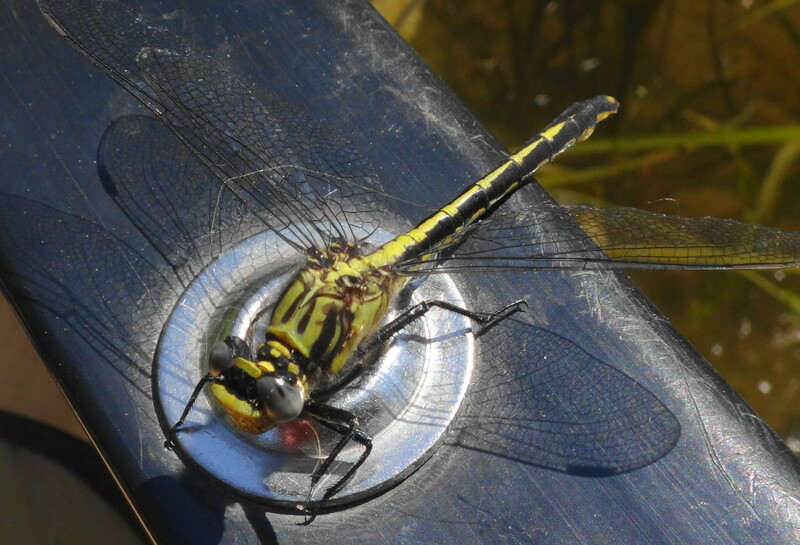 Dragonflies and damselflies cruise over the lilypads, coming to land on the side of the canoe, the end of a paddle, or the brim of a hat. 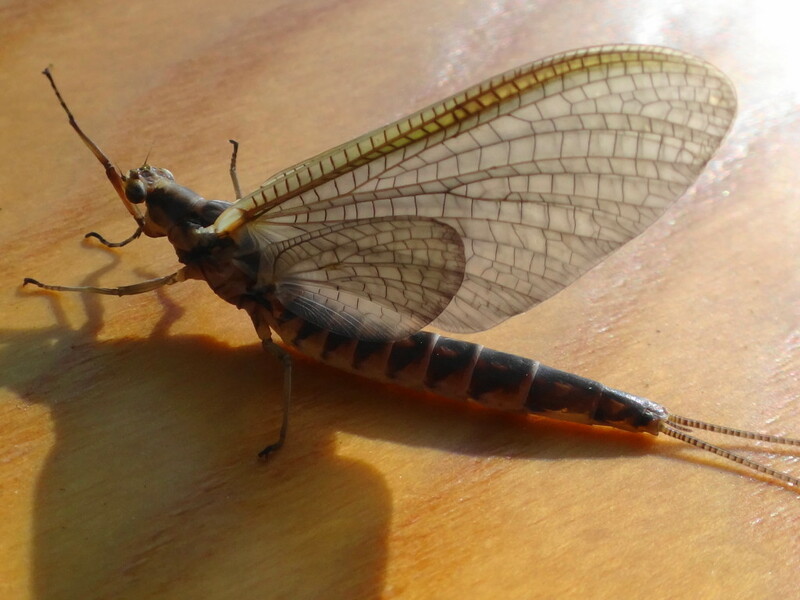 Mayflies cling to reeds. 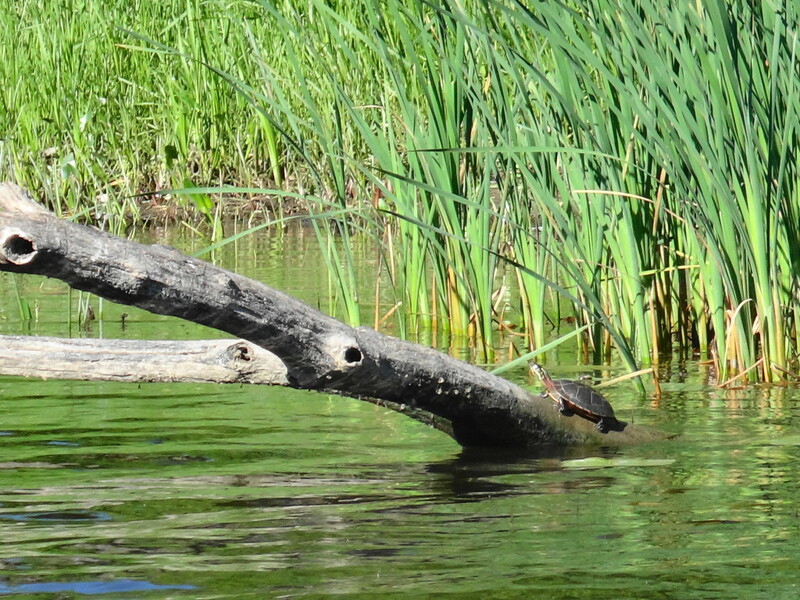 A swirl in the water betrays a snapping turtle feeding on a dead carp in the murk of the bottom, while sun-loving painted turtles line up on logs. Very few people know of Cody Creek. 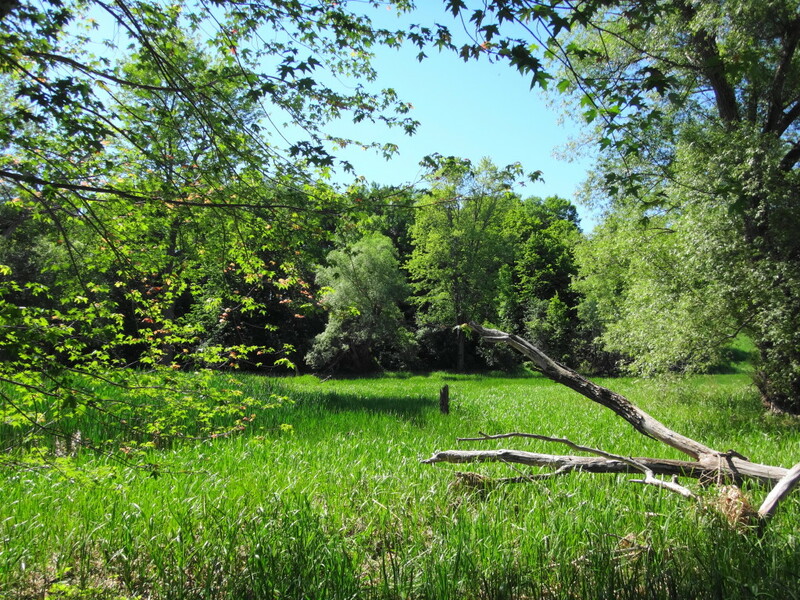 From its headwaters in Long Swamp, it flows west, draining much of the southwest corner of Ottawa’s rural landscape. It remains remarkably healthy, despite passing through some extensive agricultural lands. By the time that it nears the Mississippi River, it has carved a steep-sided, overgrown valley. In its last reaches, it meanders through a spectacular, black maple swamp. 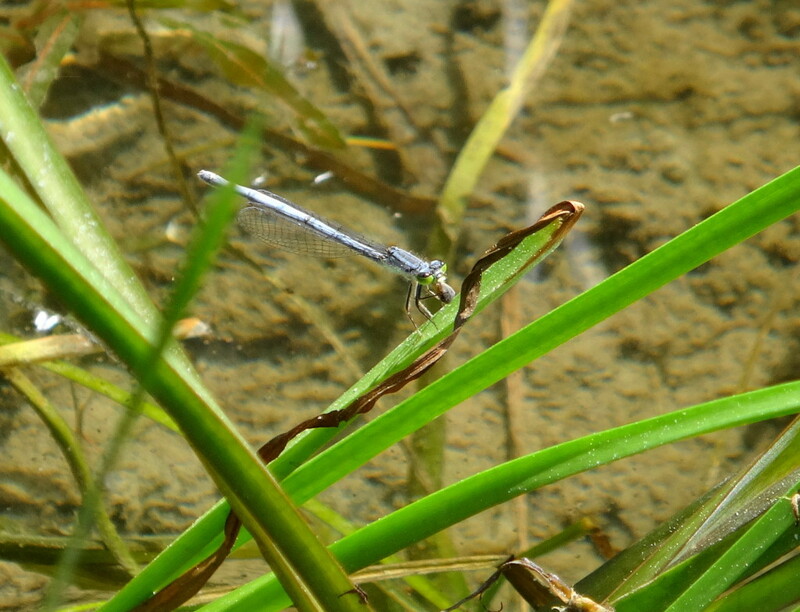 This provincially significant Area of Natural and Scientific Interest is, so far as I know, unique in Ottawa. 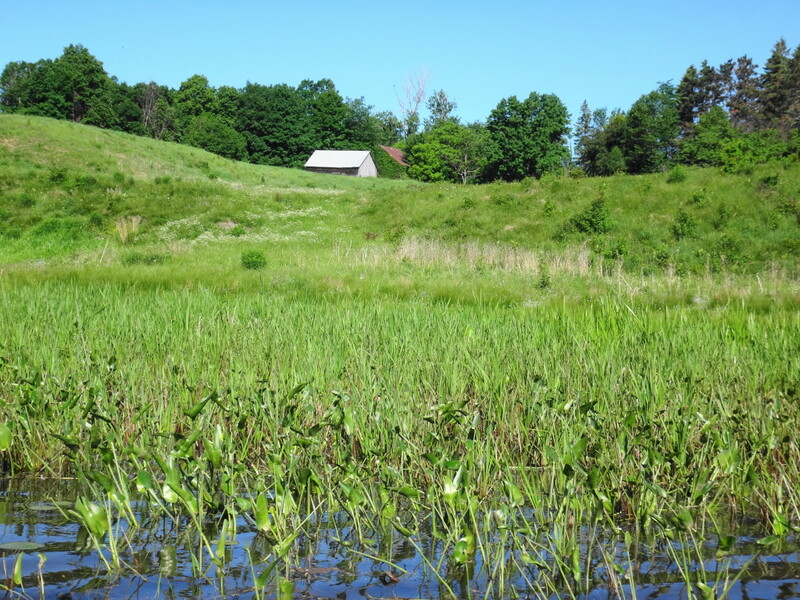 The accomplished and well-known biologist, Dan Brunton, deserves much credit for documenting the outstanding natural value of the swamp and bringing it to the attention of the Province. The swamp appears almost primaeval. The brown water moves slowly, swirling slowly around large downed trees. Animal prints crowd around dark holes in the slick, clay banks. 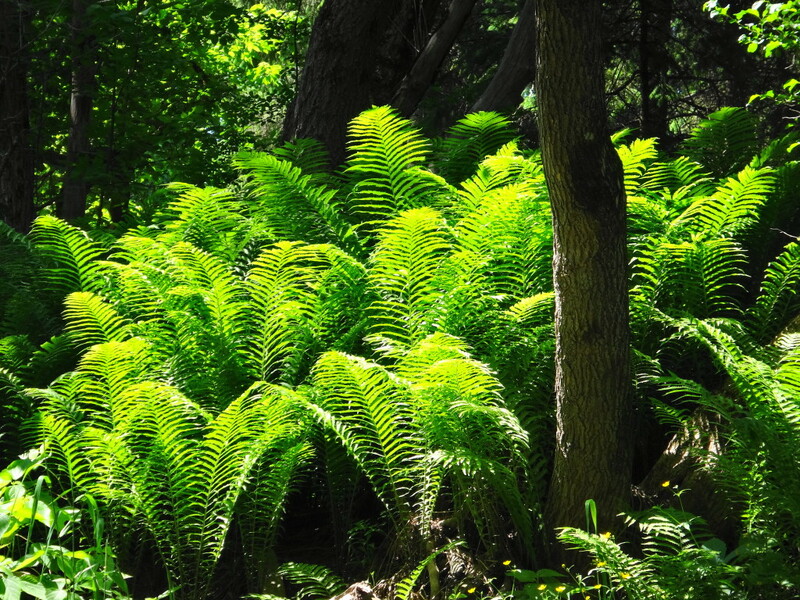 Tracks lead through sunlit ferns to the dark forest beyond. 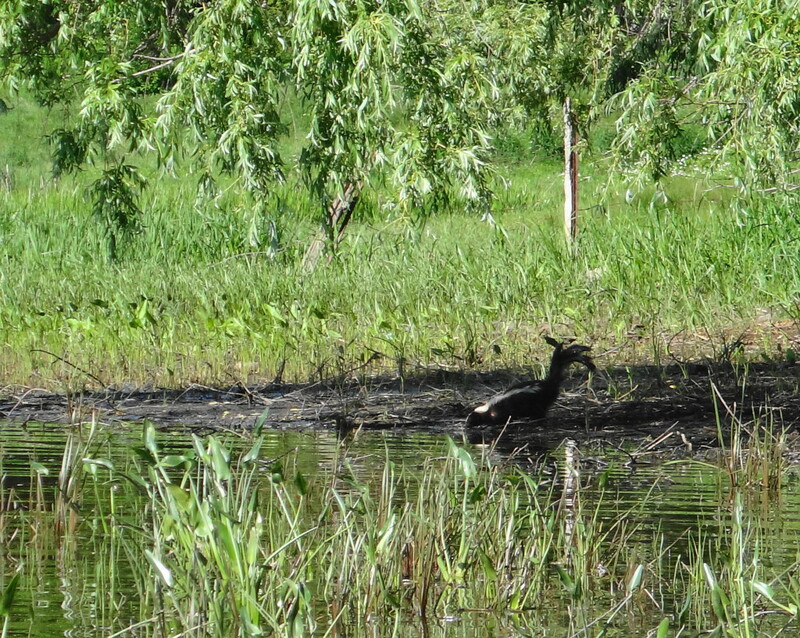 I’ve come upon otters swimming in the shadows, as well as the ubiquitous muskrats and beavers. Emerald and ebony jewelwings flit along shore. 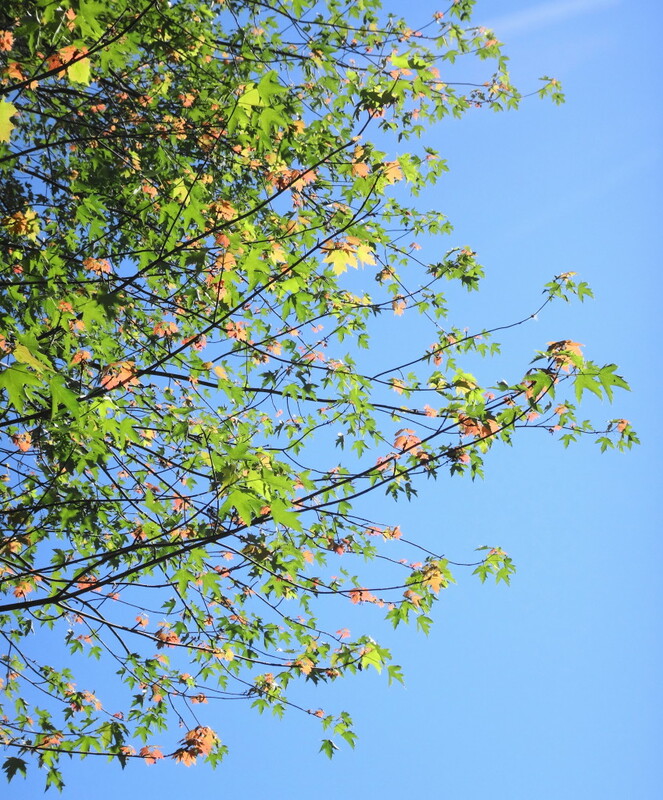 Bright birdsong burbles in the underbrush and in the high canopy above, while the air below seems very still. The creek can be paddled as far as the bridge at Hanson Side Road in low water, and a bit further in high water. Log jams and fallen trees block the channel in some places. 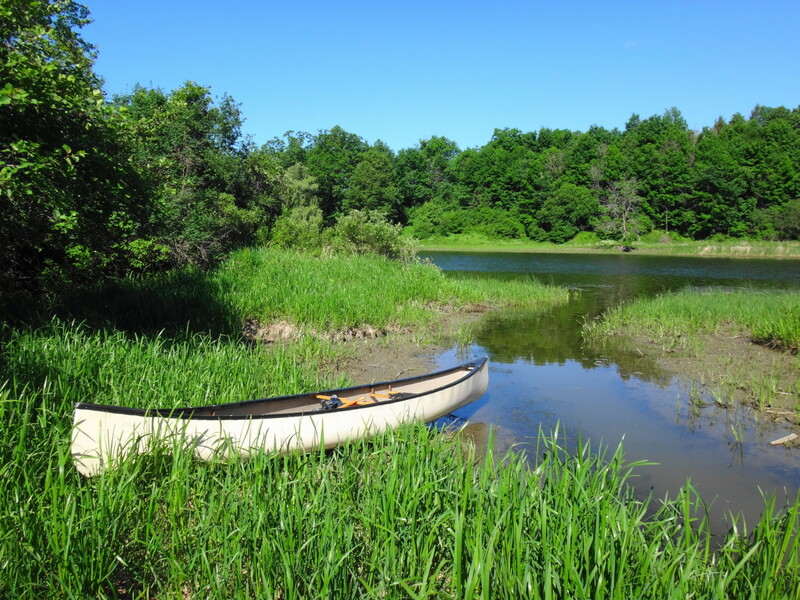 The banks consist of slick clay, and it is probably easier and safer to climb on to the log jams and haul the canoe over than to try going around. Access to the creek is also possible at the bridge, but there’s no easy put-in. 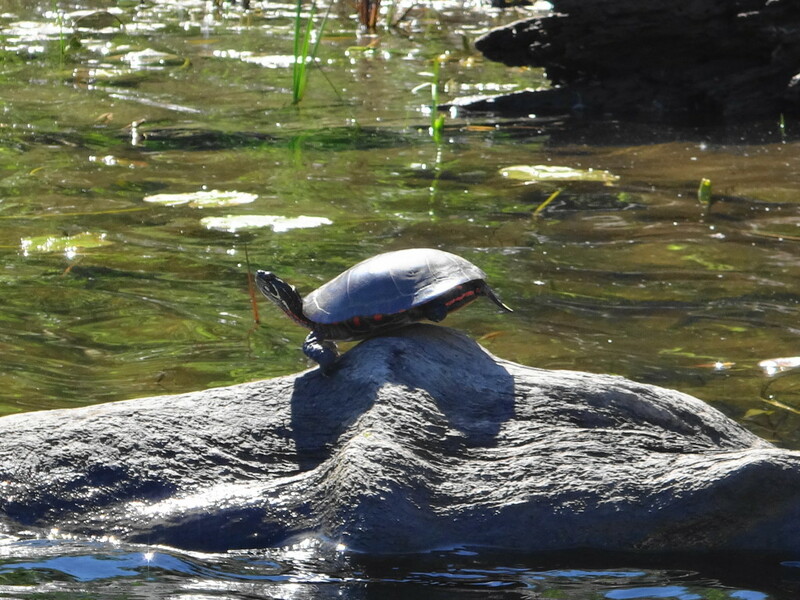 A hurried visitor can paddle the round-trip from Pakenham to Cody Creek in less than an hour. But I wouldn’t take less than three hours, to allow time for sightseeing, photography and fishing. A drifting canoe can float up to wildlife that a impatient paddler would never see. And I’ve spent 45 minutes simply resting, bow into the weeds, with my head hung over the side of the canoe watching a microcosm of life play itself out in the water. I suggest a morning trip, when birds and other animals are most active, and the air is a bit cooler. Picnic by the stone bridge, then walk up the General Store for some ice cream and fresh-baked bread. 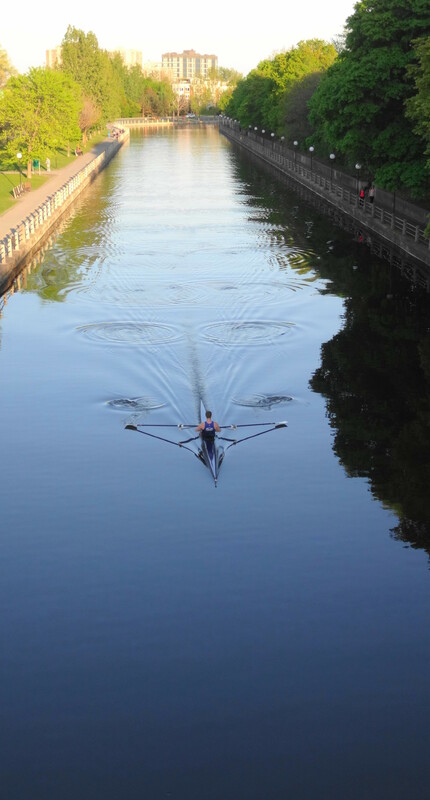 I cross the Corkstown footbridge each morning to work. 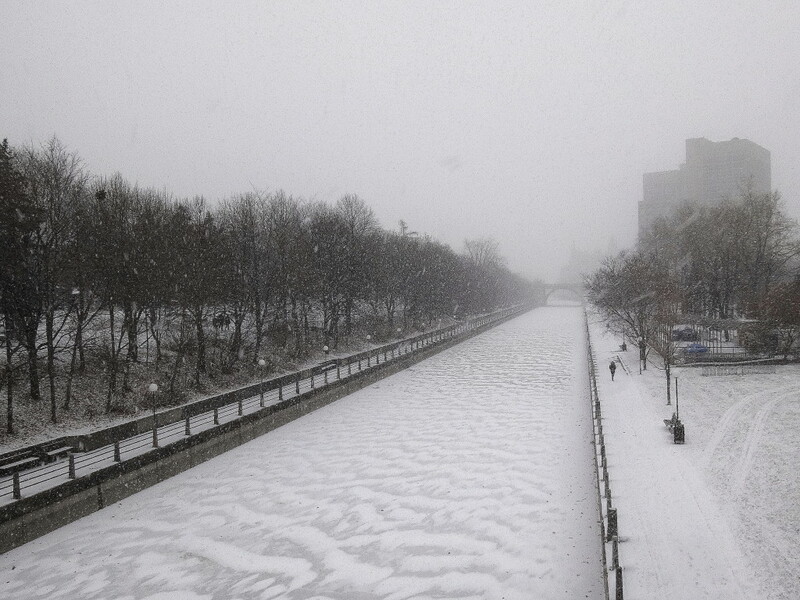 The City built it across the Rideau Canal several years ago, to take pedestrians from Sandy Hill to Centretown. 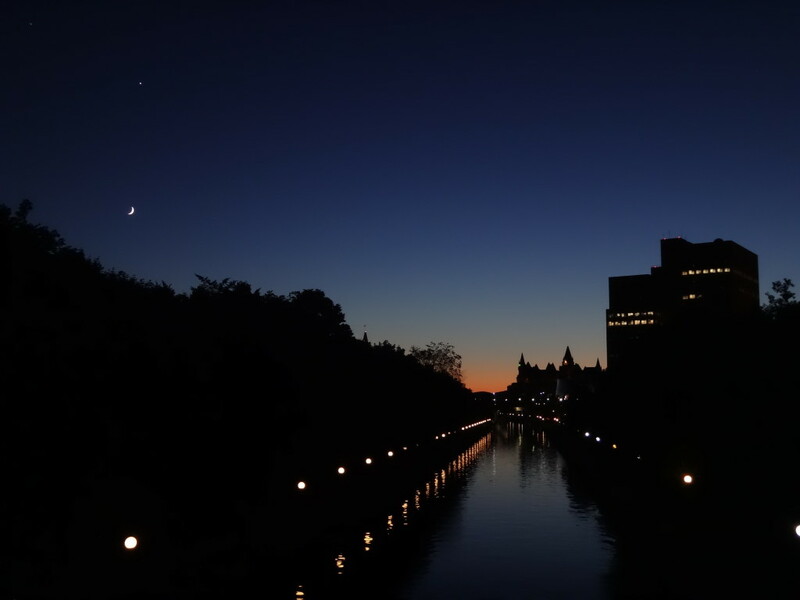 From the centre of the bridge, one can look north along the canal toward Rideau Street. The scene is beautiful and ever changing. The Gatineau Hills peek through from the background. 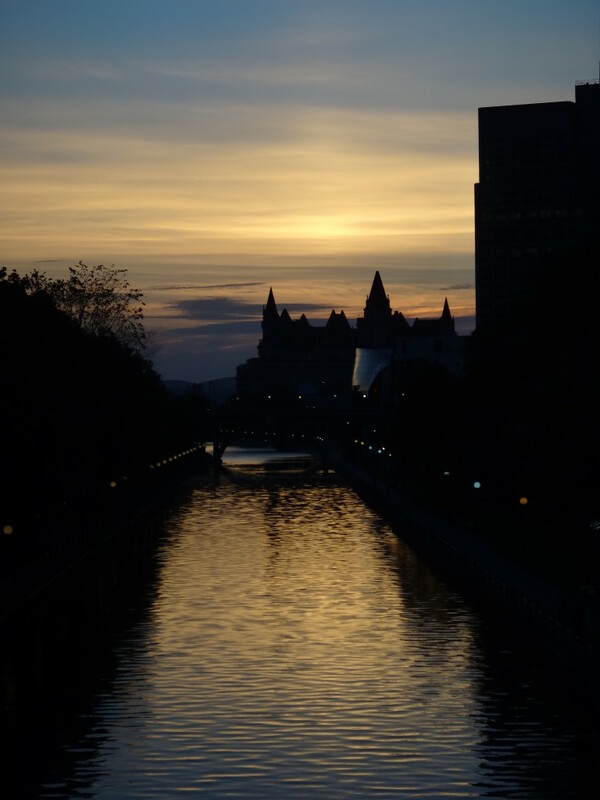 The Chateau Laurier dominates the center of the view, while the Peace Tower stands against the sky on the left and National Defence Headquarters looms on the right. In the foreground, a continuous line of mature maples and basswood screens Queen Elizabeth Parkway and broad band of well-tended grass spreads beside Colonel By Drive. Walkers and cyclists wander the paths atop the canal walls. 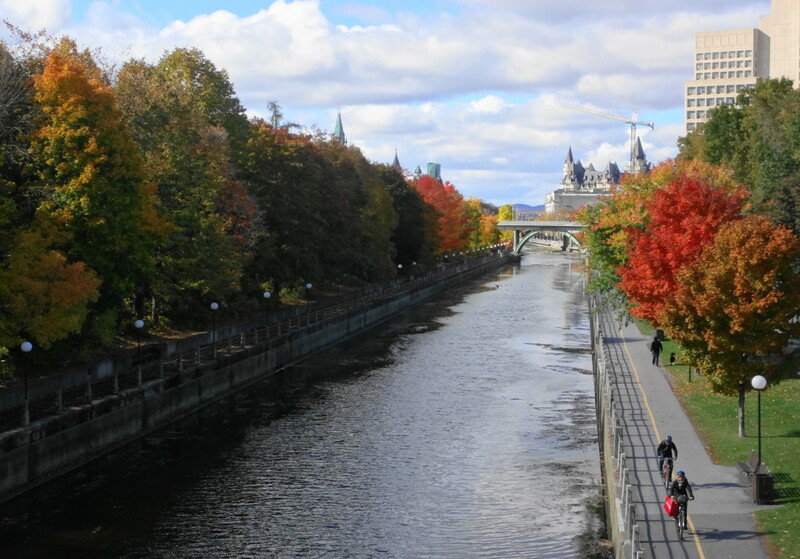 From late spring through to mid-autumn, the canal captures and reflects the colors of the leaves and the changing sky. On some evenings, a half dozen photographers may gather on the bridge to capture the sunset. 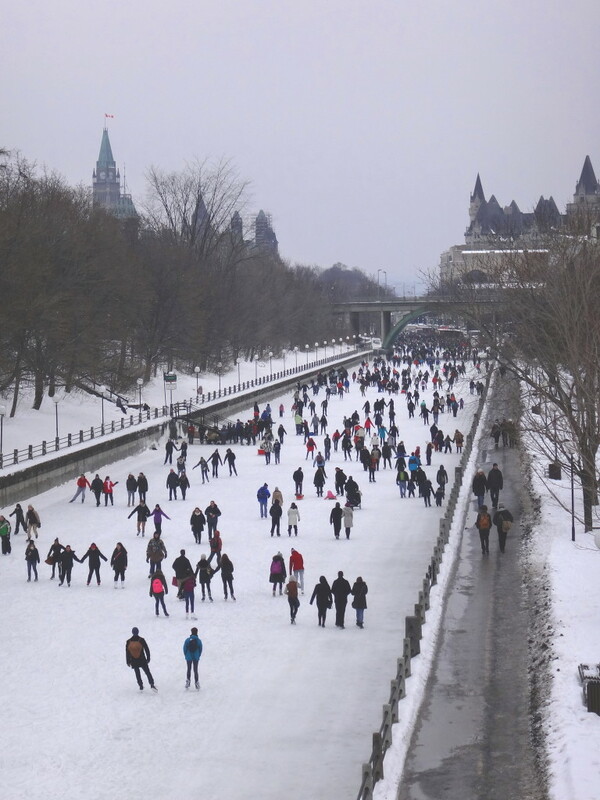 In the winter, the dark ice contrasts against the snow and the grey tree limbs, except on milder days when skaters come in the thousands to fill the canal from side to side with bright jackets and touques. Even dreary, overcast days have their moments. In the past week, I’ve paused in the morning to watch a waterfall of leaves tumbling into the empty canal before a cool, damp wind, and stopped in the evening to admire the way that a grey light reduced the landscape to a simple, but elegant lesson in perspective and geometry.